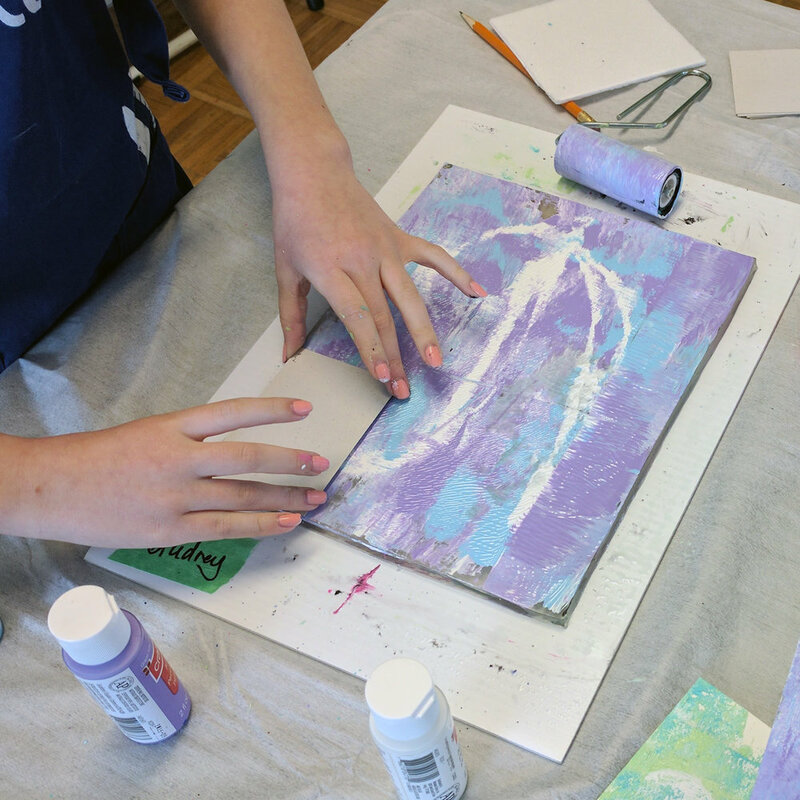 In this one day workshop we will explore the art of gelatin plate monoprinting. 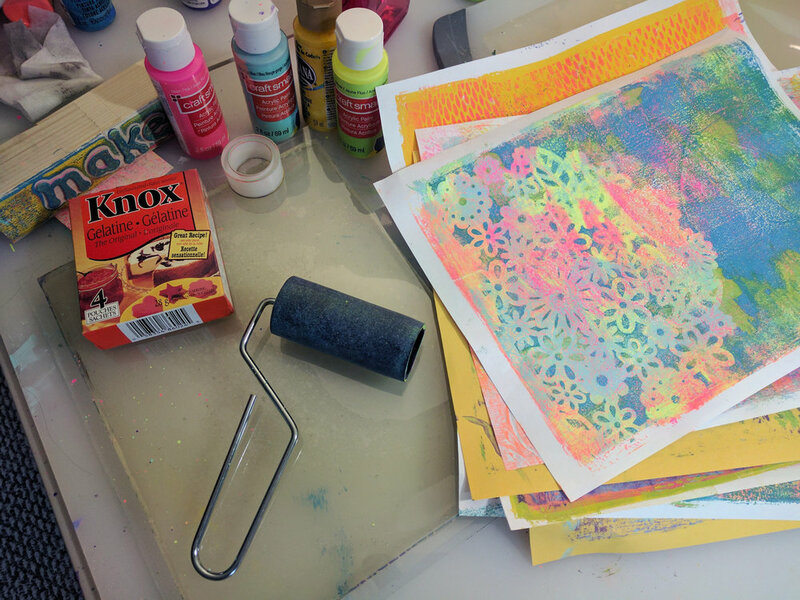 This is a form of printmaking that creates colourful one-of-a-kind artwork. It is a very spontaneous, messy, and fun way to create art. We will also teach a toner image transfer technique to create decals for layering onto the prints. The finished prints can be further manipulated to cover a small canvas for a collage project, or be cut up and turned into cards, book covers, book marks and other paper craft projects. We will have the Silhouette paper cutting machine on site to cut intricate shapes from the printed paper too!